Your first option for acquiring cheques is most likely to get it from your bank. 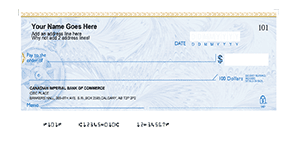 What many people do not know is that they can have customized cheques printed using the services of cheque printing companies in Vancouver. Bank cheques usually cost two to three times more so if you want bigger savings, opt to have your cheques printed by a printing company. You can get more bang from your buck with the services you can avail from ChequesNow. For the same amount of money, you can get up to 50% more manual cheques and 25% more laser cheques. 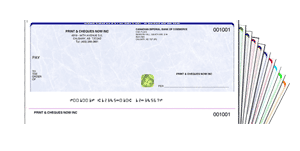 ChequesNow is also a leading source of laser cheques. We use the same paper banks use for printing cheques. It has the same fibers and chemicals for proofs of authenticity. Our laser cheques are also a great value for money because there is no need to indicate your company name and address. You can use the cheques even if you decide to change these details in the future. The security of our cheques cannot be paralleled. Our laser cheques can be incorporated with safety passwords and codes to prevent the usual theft and tampering experienced by cheque users. Our cheques are produced fast so if you order now, they can be shipped the next day, thereby saving not just money but also time. 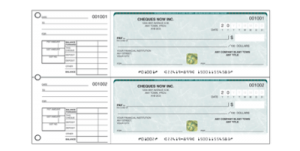 Unlike other printing companies in Canada, our cheques are all 100% CPA compliant. The text and the colors used are easy for various softwares to read. Why get your cheques from a bank in Vancouver when you can get it from us? Order your cheques online. We have a team ready to answer your queries about which type of cheques will really suit your preferences. Our team can also guide you in selecting the colors that will work for present and future needs. Pay for your cheques online. We also offer the convenience of recurrent payments. Using your first order number, you can set up a re-order system so we can continuously send you printed cheques.